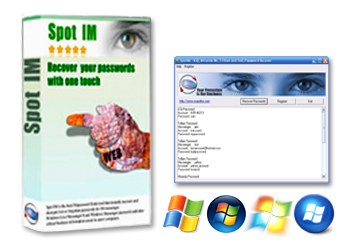 SpotIM is instant messenger password recovery software. It recovers and displays the passwords of most popular instant messengers and video chat programs. The program recovers lost or forgotten passwords for ICQ, Trillian, IpSwitch Messenger, Miranda, &RQ instant messengers and Camfrog Video Chat, Easy Web Cam accounts. The program recovers lost or forgotten passwords for ICQ, Trillian, Miranda, RnQ, Camfrog, IpSwitch Messenger and Easy Web Cam instant messenger accounts. All major protocols are recognized (ICQ, AIM, MSN, Yahoo, Jabber, IRC), multiple profiles are supported. 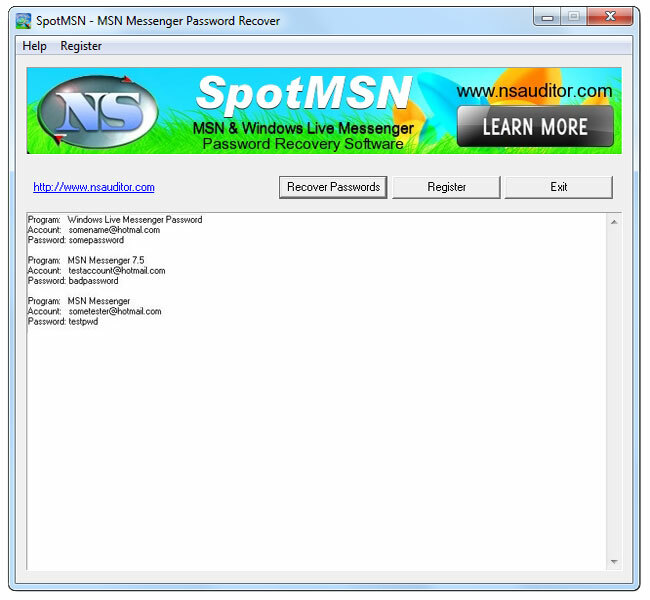 It is an easy-to-use instant messenger password recovery software for recovering lost or forgotten passwords.